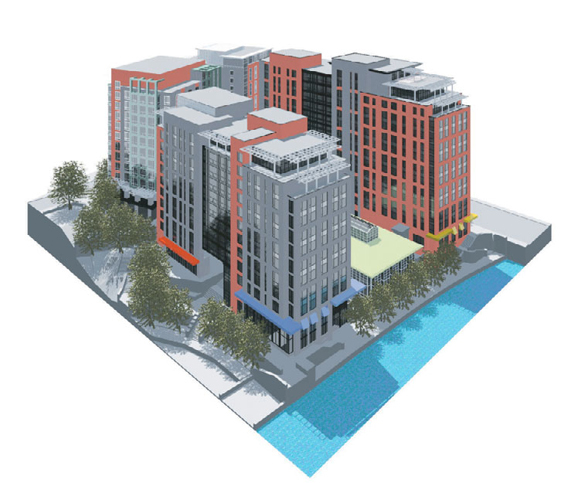 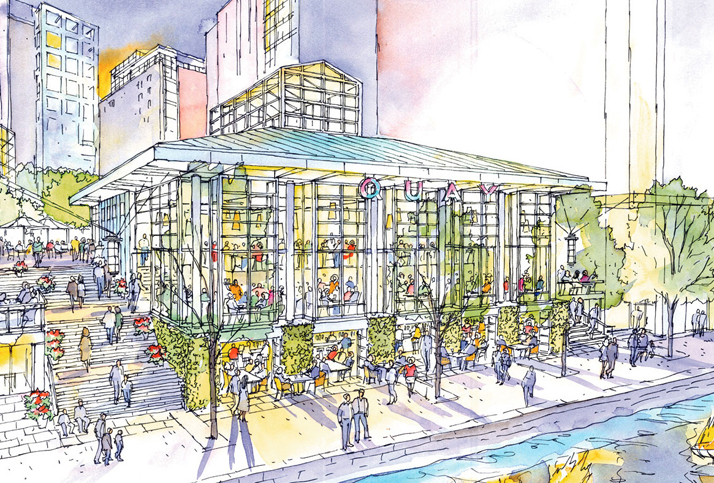 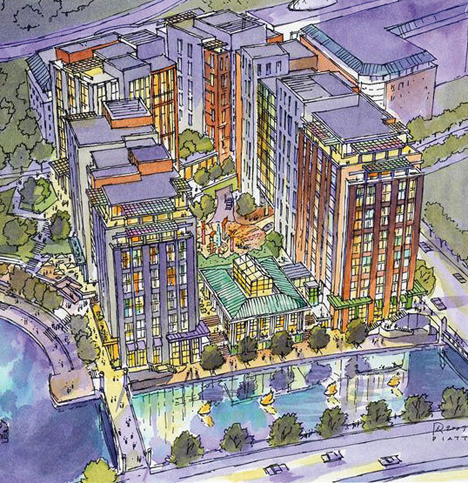 Waterplace, located on Providence’s downtown riverfront, will transform the Capitol Center district with an ambitious mix of 225 apartments, 40 luxury condominiums, a 177-room Hilton hotel, and 35,000 square feet of entertainment retail including specialty restaurants, cafes, and shops, as well as 647 spaces of underground parking. 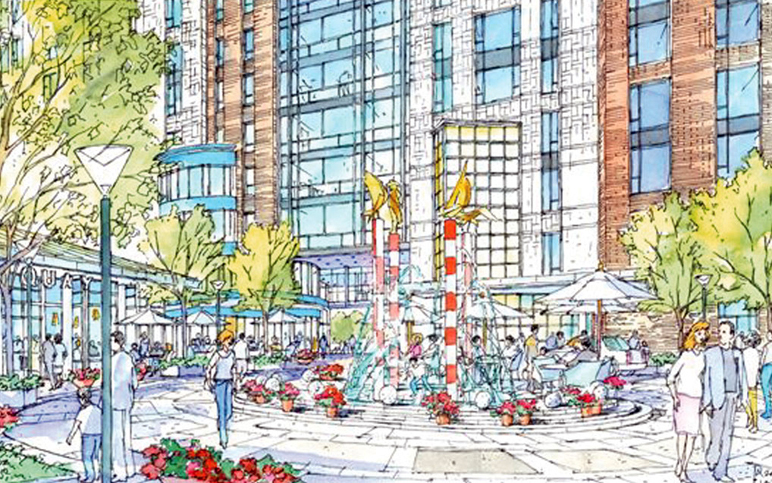 The buildings are arranged around a tiered plaza providing pedestrian access to the Riverwalk, more open space, outdoor cafes, a sculptural fountain and off-street auto drop-off areas. 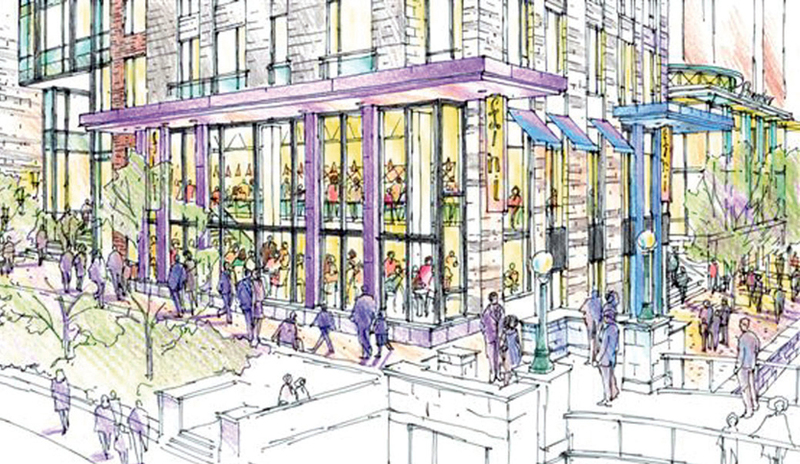 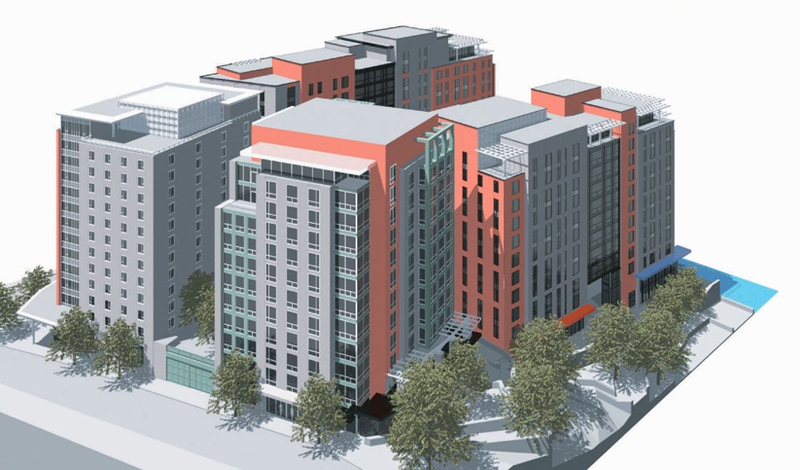 While conforming to the spirit of the Capitol Center Commission planning guidelines, the project has gone through a community process resulting in an increase in zoned building heights allowing for better views into and out of the development and more public open space.